So, you know the makeup kits and cases that always appear around the holidays? Yeah, those. You'd think any beauty fan worth their blushes would have had at least one at sometime in their lives, right? Wrong. Somehow. I've gone twenty-some-odd years and never had one. Until now, and it may just be the glitziest one ever created. 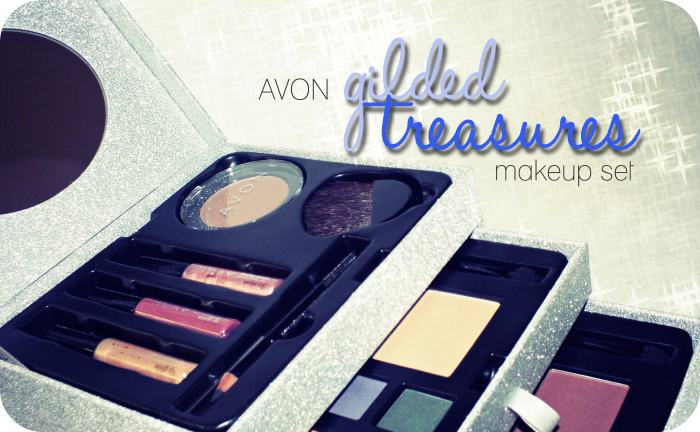 Just in time for the holidays Avon brings us the Gilded Treasures Makeup Set. Read on for the 411! Let's start with the actual box and how stinking cute it is. The silver glitter is fine and thoroughly attached, so there is no worry of glitter transferring everywhere you set it down. 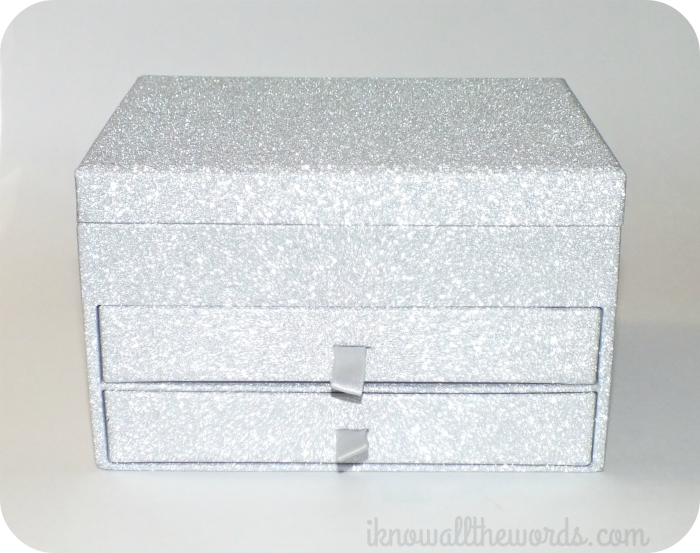 The makeup is in trays that are easily removed, so you can reuse the box for whatever you like. 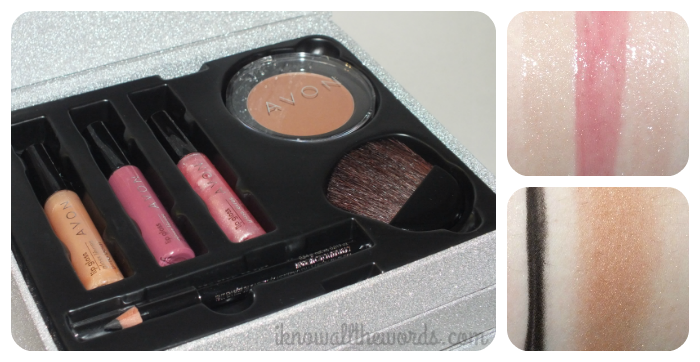 Avon recommends using it as a jewelery box, but I was thinking of using it for concealer or lip gloss. The top compartment is home to three lip glosses, a bronzer and brush, and your standard black eyeliner. The mirror lives there too. The gloss don't have much pigmentation, but they do give plenty of shine and a dose of light reflecting shimmer without being terribly sticky. The bronzer is quite nice in texture and a very useable shade, although it is a bit too shimmery for me, and the accompanying brush is quite decent and would work well in a pinch for either the bronzer or the blushes. Each of the two drawers are home to the 16 eyeshadows and 4 blushes- although one is more like a highlighter. 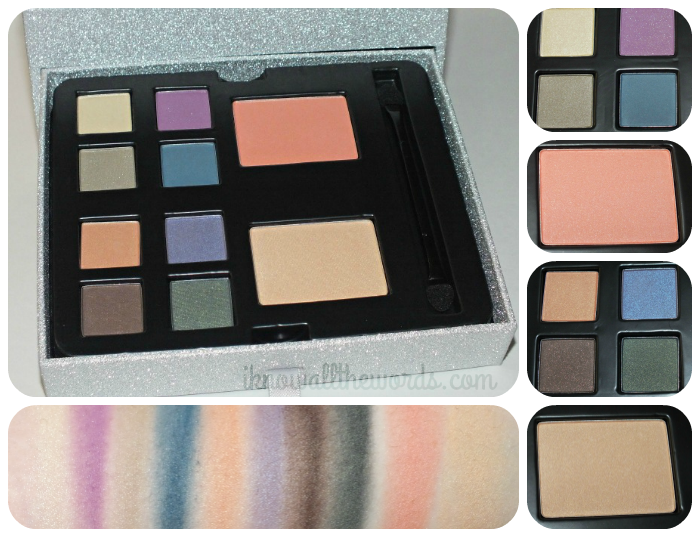 I love that all of the shades are all very wearable (ie. no crazy bright shades you'll never use) but quality does vary across the selection. I swatched these on bare skin and as you can see, so apply a bit patchy and less pigmented, while others look great. Having used these, you can get a pretty nice look when used over primer. The blushes, on the other hand, are all winners in my book! They're the perfect texture and are nicely pigmented. 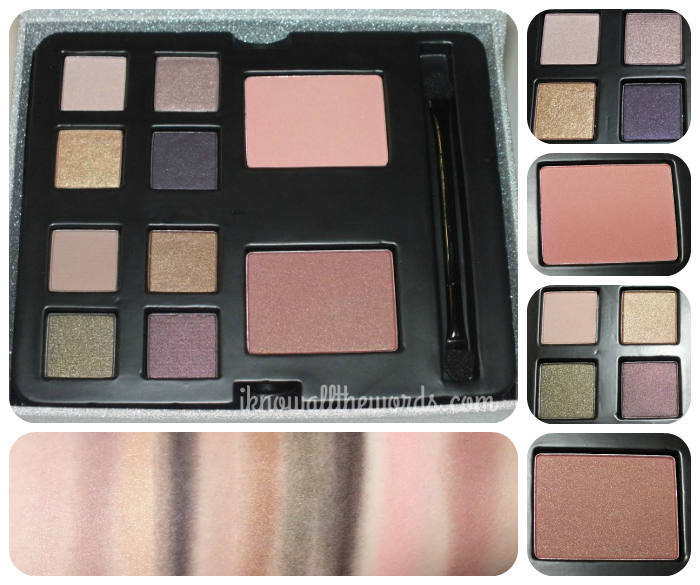 The shades are gorgeous too- you've got a pinky-peach, soft, pale pink, a plummy mauve with golden shimmer and a pale golden shade that works nicely as a hightlight. 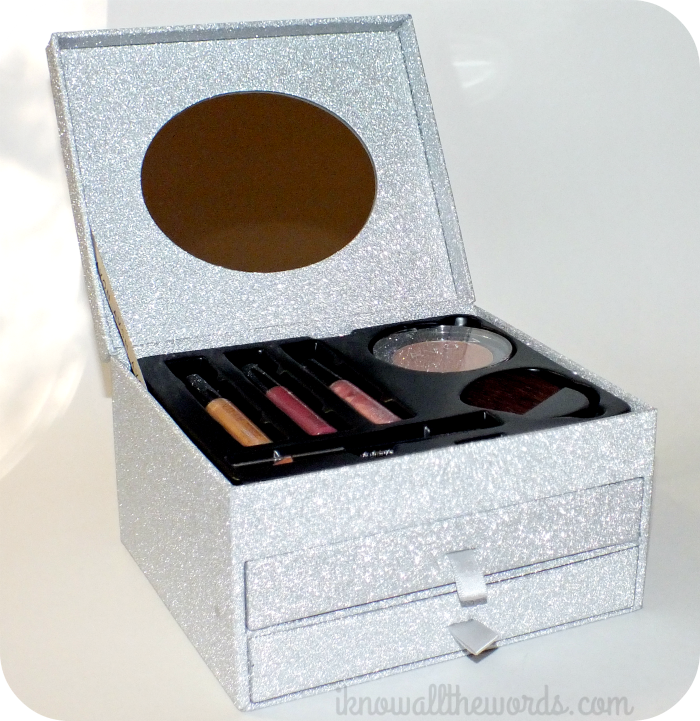 Overall, I wouldn't call this a must have item for the makeup collector, but it is a great gift for those interested in makeup but just starting out. Do you like getting makeup sets as gifts? Which ones are you wishing for this year?